Artisti Di EspressoWe like the team at this industrial-feel cafe not only because they’re local, but for their extreme passion when it comes to all things coffee. You’re guaranteed a cuppa just as you like it (all you have to do it ask), but Artisti Di Espresso also roast and supply beans (blends and single origins) and, run professional and home barista courses too. It’s a one stop shop for coffee lovers. DepotDepot Cafe has one of the funkiest designs we’ve seen in a food court. Occupying prime space by the floor to ceiling windows it’s flooded with natural light which enhances the merry feel of the interior. Crates, blackboard menus and, filament exposed hanging lightbulbs give it a trendy touch of vintage. Depot makes The Yum List for going well above the norm in terms of dining hall outlet expectations. We’re also not complaining about the fact that they’re licensed, meaning a beer or glass of wine with lunch is a very pleasant and possible option. Old John’sRecycled wood, mismatched crockery and cutlery and, toe-tapping tunes from the past mark Old John’s, one of the hippest cafes on the Coffs’ Jetty strip. Brewing a smooth, mild Five Senses coffee and, using local produce, organic where viable, we’d be happy to eat here more than once on a visit to the area. Cafe favourites with a little extra, such as the Banana Bread (pictured above) smothered with a toffee butter and lavender honey, keep a return date high on our agenda. 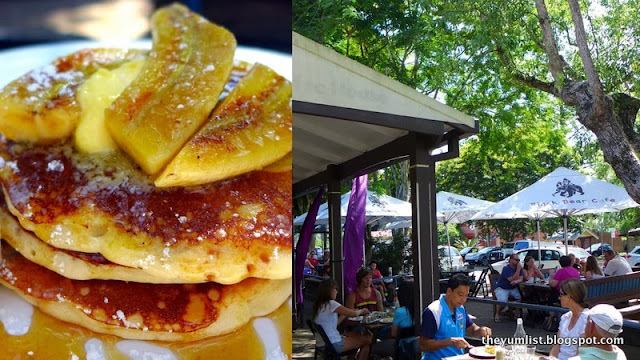 Passionfruit and Coconut Pancakes – Surf ClubThe Surf Club offers meals with a beach view and a fresh sea breeze. Lots of local, free-range and organic ingredients make us happy, and their breakfasts are some of the most scrumptious in the town. Early birds are rewarded with $10 brekkie specials between 7 and 8:30am. Check out their Specials of the Day as we’ve never been disappointed. Pictured above are Passionfruit and Coconut Pancakes, but we also tried and were very pleased with an enormous slice of super moist carrot cake, giant slices of fruit toast with cinnamon butter and, good standard cups of coffee. 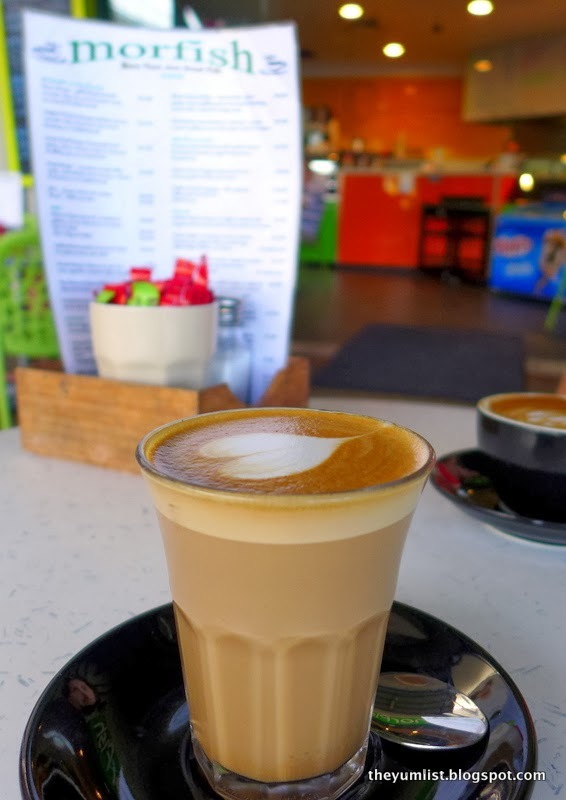 Morfish – Mum’s favourite coffee spot in CoffsMorfish had a good chance of making it to The Yum List before we even visited. It’s my mum’s favourite cafe in Coffs Harbour. Resident for nearly 15 years, she has most locations sussed out in terms of quality and value for money, so when this exacting mamma said Morfish merited a visit, we knew we wouldn’t be disappointed. Coffee is excellent and is certainly up there with the best we consumed this holiday. Perfectly balanced and expertly prepared, beans, machine and barista seem to be a winning combo. Food too is more reasonably priced than most cafes in the area. Hubby woofed down a Bacon and Egg Burger and, at only $6.50, would have ordered another if we hadn’t teased him about his Aussie tummy. Reliable, consistent, delicious and well-priced, Morfish warrants a drop-in during any trip to Coffs. It’s not just cafes that grabbed our attention this visit, but vendors placing high importance on sourcing their wares locally too. From street markets to supermarkets it seems locavores are driving the trade. 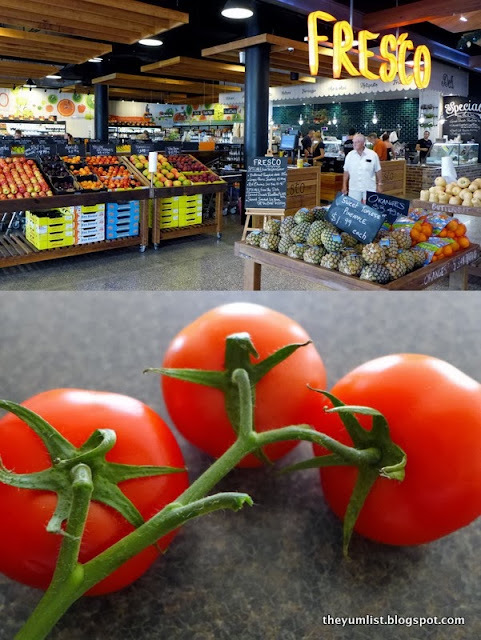 FrescoFresco is a relatively new fresh produce outlet in the recently renovated Coffs Central Shopping Centre. A colourful display of fruits and vegetables makes us want to cook at home and, samples from the deli easily persuade us to take more than just a few items away. Shelves are lined with gourmet items and, local delights such as free range eggs, organic dairy, and fruit picked and delivered on the same day by local farmers, are on every shopping list. K’Pane Artisan BakeryA mouthwatering glass display of sweet treats and, shelves stacked high with organic, sourdough, artisan breads keeps the crowds hovering around the corner lot of K’Pane Artisan Bakery. Bread here is something you can really bite into. Full of flavour, once you’ve eaten this style of bread you’ll find it difficult to go back to any commercially produced items ever again. Pastries overflow with luscious fillings and, gourmet pie ingredients will make you ponder for more than a few moments, merrily salivating while you decide which recipe you’ll treat yourself to today. 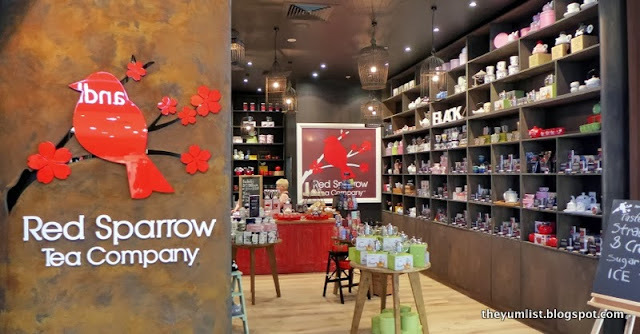 Red Sparrow Tea CompanyRed Sparrow Tea Company is another local business to be proud of. Sourcing and blending her own teas, the owner has an eye for design and a palate for pleasure. Loose leaf teas and gorgeous tea ware will tempt even the most avid coffee consumers into admitting that tea can be just as delicious. The Butchers BullevardLocal and grass-fed, meat from this butcher will lighten a carnivore’s conscious knowing that most flesh for sale is not factory farmed. The outlet is chicly designed too. 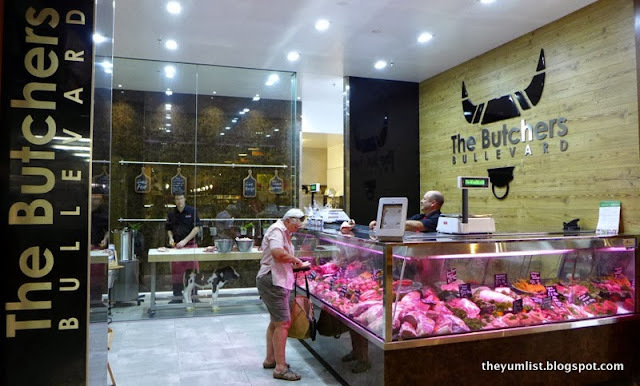 Meat shopping is a pleasure at The Butchers Bullevard. 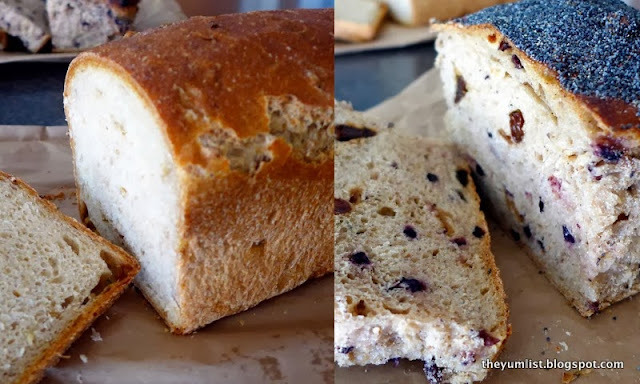 Thursday Morning Coffs MarketMum’s Home Cooking, K’Pane artisan organic bread, fresh local produce, and Artisti Di Espresso locally roasted coffee beans are all found on a Thursday morning at the Coffs Habour local produce market. Pleasant climate and cerulean blue skies in the subtropics of Coffs Harbour, friendly vendors and the chance to be a locavore for a day make this market a must stop on your visit around the Northern NSW coast. Get there early, around 8 – 9am, to enjoy the best offerings – especially those of Mum’s Home Cooking whose luscious goodies are snapped up without delay. Her typically Aussie slices will leave the sweet tooth in you more than satisfied but your taste buds wickedly salivating for more. The hip have reached (or in the case of Bellingen spread from) the areas surrounding Coffs too. Black Bear CafeBellingen is the queen of ‘hip,’ with the whole town’s focus on living a sustainable lifestyle, it goes without saying that cafes here are green and groovy. One of our favourites is Black Bear Cafe. Excellent coffee, shady al fresco tables and, an interesting menu emphasizing whole foods keeps the whole community happy. Cafe Treeo SawtellLined with giant trees begging to be climbed, the main street of Sawtell is an appealing, shady strip. 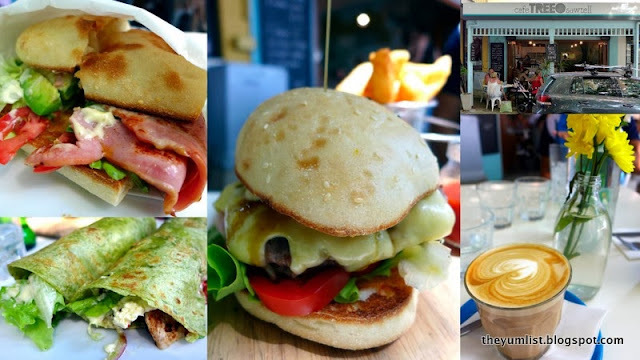 Cafe Treeo is without doubt the most popular on the drag due to its comfortable gourmet menu and all day brekkies. Coffee is good too. 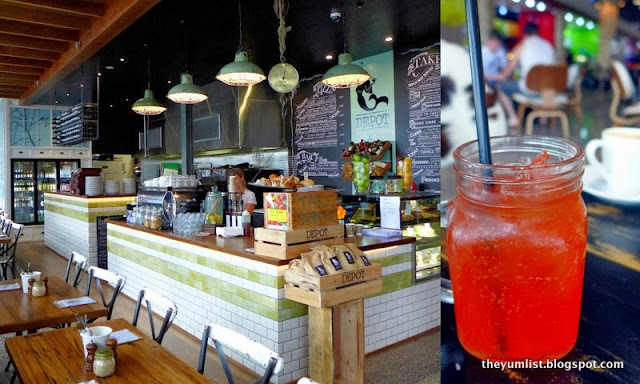 It’s worth the 15 minute drive south from Coffs for a change of scenery and a yummy bite to eat. Apple and Rhubarb Gluten Free Tart – Beachstone CafeBeachstone Cafe, about 15 minutes to the north of Coffs Harbour, is an excellent location for families with children. A free-standing building is surrounded by a shady verandah and opens up to rolling green grass and a large children’s playground. The young ones can run and play while the adults enjoy some modern Australian cafe food. The beach too is just a stroll over the sanddune so a digestive walk either before or after a meal is an easy activity. 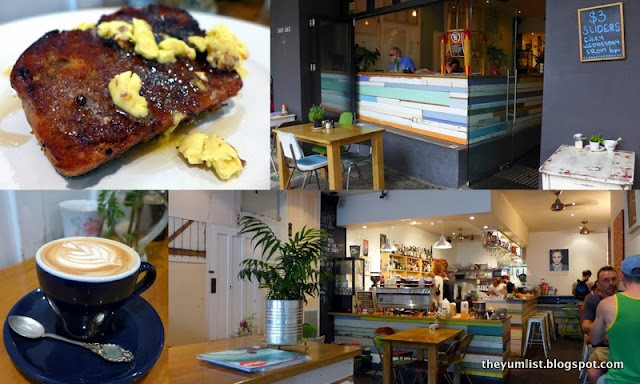 While the food is a little more pricey than other hip cafes in the region, consider the extra couple of bucks as payment for the inbuilt babysitter (attractive playground) and green sunny outlook.